Our distinctive fabric tents for hire are ideal for private glamping and entertaining or adding something different to wedding celebrations, garden parties and corporate events. 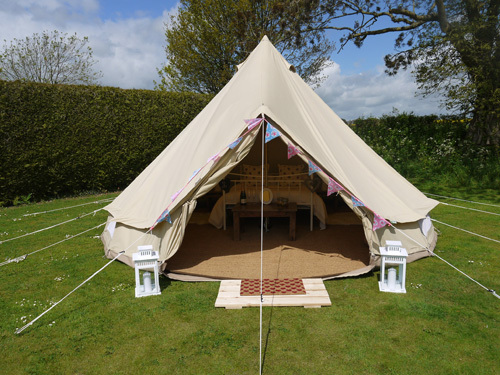 Our glamping tent villages can provide additional guest accommodation where perhaps hotel space is limited or the venue is in a more remote location. 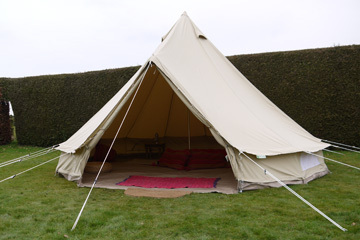 We can supply two types of luxury tent, our Indian Shikar tents and our impressive canvas Bell tents. All of our tents can be hired and set up by us either at your home or at your chosen venue.